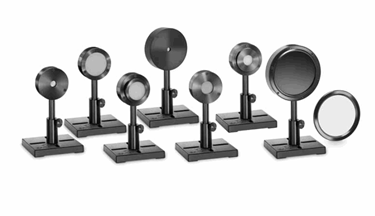 Ophir Photonics presents a wide range of energy sensors, or pyroelectric sensors, designed to measure repetitive pulse energies and average powers at pulse rates up to 25000 pulses per second, and pulse widths up to 20ms. These sensors use a pyroelectric crystal that generates electric charges that are proportional to the pulse energy. Ophir’s pyro detectors have a unique and proprietary circuitry that allows them to measure long pulses as well as short pulses and work at a high duty cycle. They offer more compact, wider dynamic ranges, have higher repetition rates, and measure longer pulses in order to bring the best performance in the market. The energy sensor catalog offers a brief overview of the different models of power sensors, graphs of sensor operational characteristics, and other product specifications.